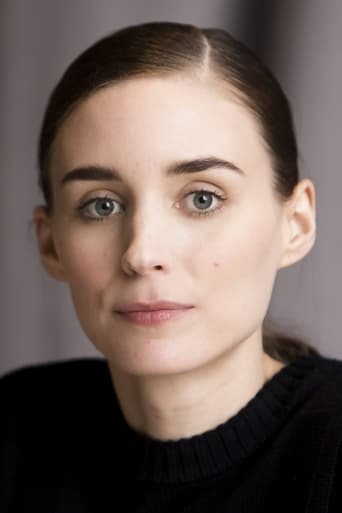 Patricia Rooney Mara (born 1985) is an American film and television actress. Mara made her acting début in 2005 and has gone on to star in films including A Nightmare on Elm Street, the remake of the 1984 horror film, and The Social Network. Mara will portray Lisbeth Salander, the title character in The Girl with the Dragon Tattoo, the first of three Sony Pictures films based on Stieg Larsson’s Millennium book series. Mara is also known for her charity work. She oversees the charity Faces of Kibera, which benefits orphans from the Kibera slum in Nairobi, Kenya, one of the largest slums in Africa. She is also the younger sister of actress Kate Mara. Description above from the Wikipedia article Rooney Mara, licensed under CC-BY-SA, full list of contributors on Wikipedia.